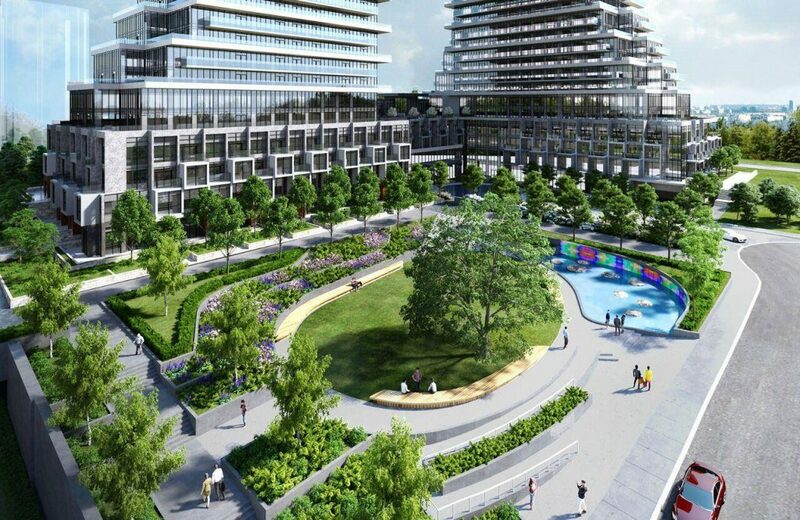 Auberge 2 On The Park is a new condo development by Tridel and Rowntree Enterprises currently in preconstruction at Leslie Street, Toronto. Sales for available units start from the mid $400,000's. 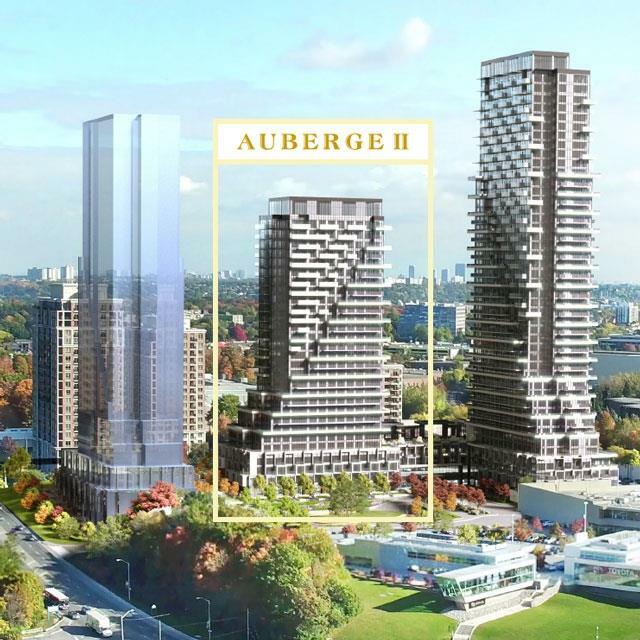 Auberge 2 On The Park has a total of 215 units, sizes range from 542 to 2207 square feet. Last month, award-winning Tridel and Rowntree Enterprises unveiled their plans for the second tower in the Auberge On The Park master-planned community, and now they are inviting the public to visit the Tridel head office at 4800 Dufferin Street to pick up a copy of the new floorplan brochure and learn about pricing for Auberge II. The Graziani + Corazza-designed condominium will rise 29-storeys at the corner of Leslie and Eglinton — a tranquil setting surrounded by exclusive North York neighbourhoods, Sunnybrook Park and a network of scenic nature trails. The European-inspired interiors, crafted by II BY IV Design, are bright and airy with expansive windows and generously-sized terraces and balconies that are equipped for outdoor entertaining. Residents of Auberge II will benefit from the wealth of amenities offered in Phase One as they share a podium. The stylish party room is outfitted with soft furnishings, a statement-making fireplace and custom millwork. The adjacent private dining room features a kitchenette, and the richly-hued multimedia room is ideal for screening the latest episode of your favourite TV series or catching up on email. 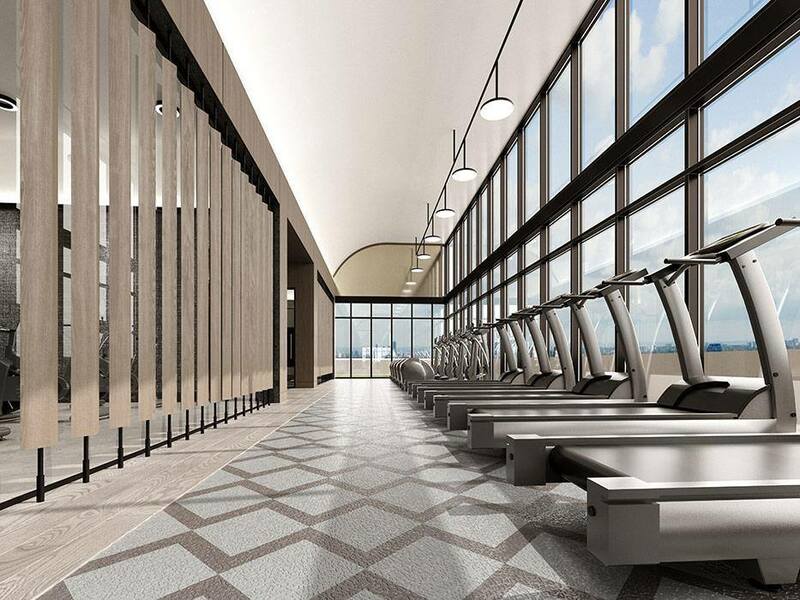 Fitness junkies will appreciate the state-of-the-art fitness centre, divided into areas for yoga, spinning and hitting the treadmill. After a vigorous workout, residents can relax tired muscles in the indoor whirlpool and spa. The fifth floor amenity terrace is an added bonus, complete with a swimming pool, private cabanas, barbecues and a fireplace lounge. 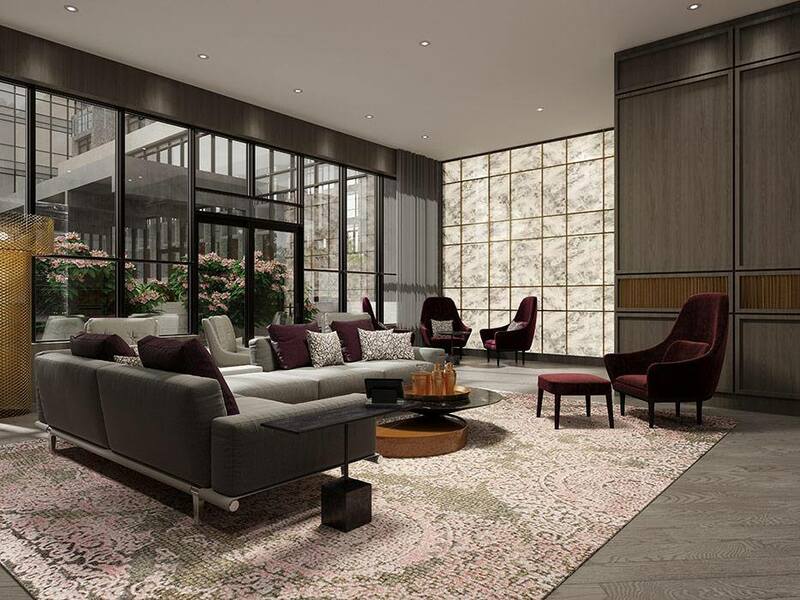 Auberge II will welcome residents home with its grand two-storey lobby featuring a 24-hour concierge service, and there’s a well-appointed guest suite for visitors. Auberge II On The Park is nestled up against Leaside and Bayview Avenue, home to hip restaurants, boutique fitness studios and specialty food stores. When the project is completed in 2022, the Eglinton Crosstown LRT is expected to be fully operational. The future Sunnybrook Park station will be only steps away from the Auberge community, and the onramp to the Don Valley Parkway is just down the road.